I truly believe that I have the most rewarding job in the prison service. Nearly 17 years ago I made a conscious decision to work with young people at HMP & YOI Feltham. When I first started working with people aged 15-18 I felt at the time, and still do now, that prison officers can make a difference to a young life. After serving for many years in the Royal Air Force, I took the decision in 2002 to transfer my skills into the prison service. I believe my strongest quality is being able to talk to people of all levels and as I work with younger people, this is essential. I currently work within the Offender Management Unit as a Resettlement Officer and Duke of Edinburgh Manager. “Duke of Edinburgh Manager?” I hear you cry. Yes, HMP & YOI Feltham is a licensed centre and we offer and deliver the full package of awards to all our young people. We currently have over 500 candidates working towards completing the Duke of Edinburgh Bronze Award. Those taking part engage well with the scheme as they feel like they are achieving something that is not forced, or compulsory. One young person said it made him feel like he was given a choice and that he hadn’t experienced that elsewhere. As the emphasis is put on the individual, it gives them a great sense of belonging and achievement. I enjoy the fact that no two days are the same at work, however, I would say that the last 4 years have been the most challenging, yet rewarding for me. Knowing I make a difference by supporting these young people makes it all worth it. My responsibilities seem endless, but it makes every day an interesting one. One of my main roles is risk assessing young people for Release on Temporary Licence (ROTL), where they are able to go out into the community for a specific reason, including to go on a training course or education courses about life and work skills. I also do a lot of work looking after business partners, such as Fulham FC and Crawley Town FC who run football courses for our young people. During the courses, those taking part are treated as if they’re in a football academy and so learn how to behave in a group, how to communicate and how to encourage each other. The confidence it gives them is amazing, from the first day to the last, the change is immense. 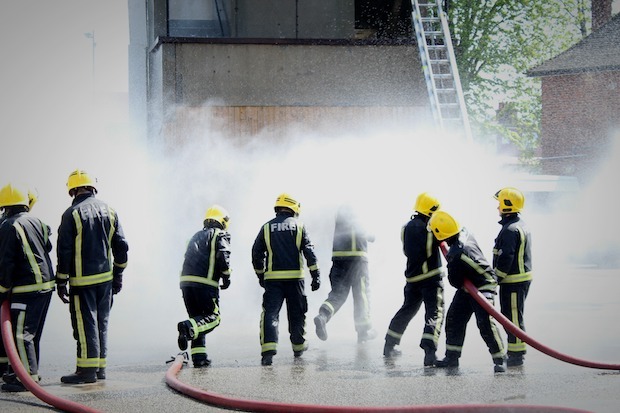 Young offenders from HMP Feltham undergoing a LIFE firefighting course. 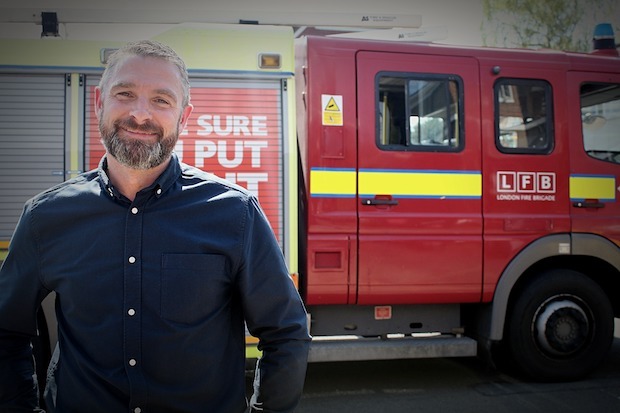 I also work closely with the London Fire Brigade running a Local Intervention Fire Education (LIFE) course, where the young people get a week-long taster of what it takes to be a firefighter and learn valuable life skills. These courses aim to rehabilitate young people by providing them with the essential skills and qualifications they need to go on to employment once released. They’re then more likely to live a crime-free life when released back into society, meaning safer streets for the public. It also showcases the excellent work we do with local businesses to achieve this. My aim is to also make the families of the young people feel that their loved ones are safe and taking part in positive and rehabilitative initiatives, despite being behind prison walls. So, what’s next for me? I’ve just recently enrolled on a foundation degree course in Youth Custody, so my next 3 years will be more learning about the young people in custody and hopefully gaining a Masters. However, I will not be living the student life as I’ll be fitting studying into my own time, along with a full working week. On a positive note, the course is fully funded by the prison service. I am very fortunate to have worked with many amazing colleagues over the past 17 years. During this time, I’ve never worked alone and have always had their support throughout the challenges. Being a prison officer is a brilliant job. Yes, it’s stressful and there are long days where things haven’t gone so well, but alongside all this, there’s the team camaraderie, the humour and most importantly for me, the sense that I’m making a difference to some young lives. Becoming a positive role model in their lives, even for a short time, is a very important job. To find out more about becoming a youth custody prison officer, visit our website. Fantastic article, as a serving soldier looking to go in to this line of work I found this very informative. Thank you, you have confirmed I am making the right decision. Hi I too am looking at workin in youth custody, however I live quite far from my chosen prison, and was just wondering if travel allowance is paid? No, your travel isn’t paid for but you can apply for a season ticket loan as part of the benefits in becoming a prison officer. Good evening, I have recently 0assed my RAD. And am on a merit list for my chosen prison, after some research I have found there are 8 prisons within 40 miles of me. Do I just phone up and ask for vcp or people hub to see if they are recruiting? I'd rather be proactive many thanks. In order to transfer your RAD accreditation you need to pass the online tests for the prisons you’d like to work at. To transfer your RAD please call the SSCL Recruitment Centre on 0845 241 5358. How long after your rad did you get the job..How long did you wait? If you've passed your RAD it usually takes up to 5 days to find out your results. Vetting then takes up to 12 weeks to complete. So, the timing between passing a RAD and getting the job differs for each applicant.